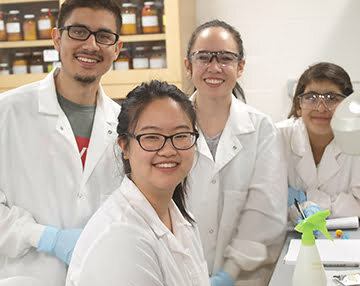 High school and undergraduate students are given an opportunity to acquire skills and experience by conducting research in the exciting fields of microbiology, molecular biology, and biomedical sciences, among others. These programs run throughout the summer. These projects focus on studying complex microbial communities in a variety of habitats. 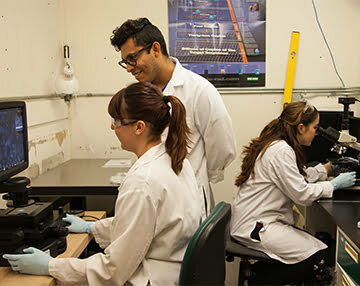 Students will learn basic lab safety, and will gradually become immersed in studies using advanced research techniques and will have the opportunity to use common lab instruments. Rather than learning from a textbook or in a classroom, students are given specialized, individual attention from experienced research scientists at Oak Crest. They are given the guidance that will nurture an interest in science and bring it to college level experience in a lab setting. These programs are mentored by Manjula Gunawardana. Resumes may be submitted via e-mail ([email protected]) for review in April. Students will then be asked to provide an instructor’s reference. A group orientation in June begins the Summer Volunteer Program. Students that successfully par­tic­i­pate in the Summer Volunteer Program may continue year-round volunteering, or return the following summer to continue their research.